The prediction of academic performance is one of the most important tasks in educational data mining, and has been widely studied in massive open online courses (MOOCs) and intelligent tutoring systems. Academic performance can be affected by factors like personality, skills, social environment, and the use of library books. However, it is still less investigated about how the use of library books can affect the academic performance of college students and even leverage book-loan history for predicting academic performance. 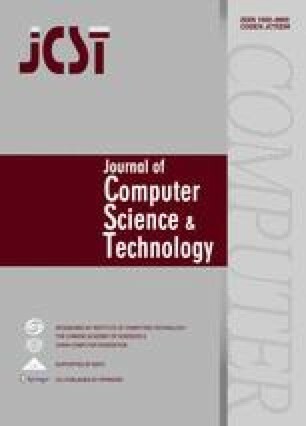 To this end, we propose a supervised content-aware matrix factorization for mutual reinforcement of academic performance prediction and library book recommendation. This model not only addresses the sparsity challenge by explainable dimension reduction techniques, but also quantifies the importance of library books in predicting academic performance. Finally, we evaluate the proposed model on three consecutive years of book-loan history and cumulative grade point average of 13 047 undergraduate students in one university. The results show that the proposed model outperforms the competing baselines on both tasks, and that academic performance not only is predictable from the book-loan history but also improves the recommendation of library books for students. The online version of this article (doi: https://doi.org/10.1007/s11390-018-1847-y) contains supplementary material, which is available to authorized users. Töscher A, Jahrer M. Collaborative filtering applied to educational data mining. In Proc. the KDD Cup 2010 Workshop, July 2010. http://pslcdatashop.org/KDDCup/workshop/papers/KDDCup2010_Toescher_Jahrer.pdf, June 2018. Taylor C, Veeramachaneni K, O’Reilly U M. Likely to stop? Predicting stopout in massive open online courses. arXiv:1408.3382, 2014. https://arxiv.org/abs/1408.3382, May 2018. Martinez D. Predicting student outcomes using discriminant function analysis. In Proc. the 39th Annual Meeting of the Research and Planning Group, May 2001. https://files.eric.ed.gov/fulltext/ED462116.pdf, May 2018. Balakrishnan G. Predicting student retention in massive open online courses using hidden Markov models. Technical Report, University of California, 2013. https://www2.eecs. berkeley.edu/Pubs/TechRpts/2013/EECS-2013-109.pdf, May 2018.